Strange things happen before every Pittsburgh Penguins home game. Up until game time, everyone lucky enough to secure tickets does the same routine that’s been done for the past 44 years: they drive along the same cramped bridges and tunnels, they park in the same overpriced parking lots, they eat and drink at the same cramped local watering holes. Then they head over to the still-sparkling Consol Energy Center, a state-of-art arena that opened in 2010. Along the way, they walk past a ghost, an abandoned former crown jewel which has reverted back to one of its old names, the Civic Arena, but will forever be known as the Igloo. The Igloo with roof open. After more than a year of legal wrangling, demolition of the 50-year old building began about a month ago. Much like the decision to tear the place down, the demolition will be long and painful; reports indicate it won’t be finished until at least May of next year. Two weeks ago, crews began to strip off the roof, piece by piece. And even though we already said our goodbyes in Pittsburgh, this time it’s for good. Perhaps the old barn deserves one more trip down memory lane. In 1992, the Pittsburgh Penguins were flying high. Moustaches and mullets ruled the day. The defending champion Penguins stormed back into the Stanley Cup finals on a rousing seven-game playoff win streak. One problem: waiting for them was the Chicago Blackhawks, who came into the series winners of 11 straight playoff games. It is now Game 1, and the Igloo is rockin’. The Blackhawks are unfazed and they blitz the shell-shocked Pens, taking a commanding 4-1 lead halfway through. But the defending champs aren’t going down quietly. After they cut the lead down to one, 19-year-old phenom Jaromir Jagr snags a loose puck and zigzags between three Chicago defenders for a majestic backhander— a goal that Mario Lemieux would later say was “the best goal he’s ever seen”— to tie it up. Later, with a faceoff in the Penguins’ end and 14 seconds left in the game, it’s Mario’s turn. He drifts back to the blue line, then he plows forward to the net when the Penguins win the draw. Defenseman Larry Murphy shoots, and the rebound bounces right to Mario, who bangs it home with ease. The Igloo explodes. Media members say the building was never louder. The Blackhawks don’t win another playoff game. In 1961, the Pittsburgh Civic Auditorium opened its doors with great fanfare. Built for the then-astronomical sum of $22 million, it was designed to house the Pittsburgh Civic Light Opera, a non-profit theatre organization that still exists today but long ago relinquished its status as the primary tenant. Then, as now, the place was one of a kind— the only one of its kind. It was a large, domed silver building that resembled a spaceship. There was a retractable roof. No other city had anything like it. The first professional sports team to call it home was not the Penguins but rather the Pittsburgh Rens of the American Basketball League, who played there for one season in 1962 before the struggling league folded. Five years later, the NHL expanded from six to twelve teams and awarded Pittsburgh a franchise. The team was christened the Penguins, because the building looked like a giant igloo. Or was it the other way around? Real penguins are found only at the South Pole, whereas real Eskimos— the people who build real igloos— are found exclusively in the Northern Hemisphere. This gave birth to a rhetorical question you couldn’t possibly hear anywhere else on earth: Which came first, the Penguins or the Igloo? Over time, the place became woefully outdated. It smelled of stale beer and nachos. Paint actually started peeling off the walls. The retractable roof closed one day in the mid-90s, never to be opened again. The small concourses, the grainy TV sets, the burnt-orange seats? Yeah, those weren’t going to cut it in the 21st century. 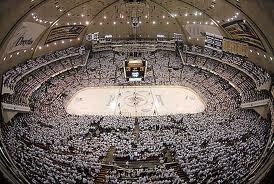 In 2007, after many failed attempts for a new arena plan, the Penguins loaded the bullet in the chamber. Either there was going to be a new arena built, or they were moving to Kansas City or some other far-away place. The Igloo— by then known as Mellon Arena— was the oldest arena in the NHL, and it was a dump. Three years later, Consol Energy Center opened across the street. We all said goodbye to the Igloo. Only it wasn’t going anywhere. Not yet, anyway. The Pittsburgh Pipers swept into town in 1967, one of the new franchises in the inaugural season of the American Basketball Association. The Pipers were colorful and flashy, piling up wins— 15 in a row at one point— behind the league’s best player, Connie Hawkins, Pittsburgh’s first and only professional basketball star. But no matter how fun they were to watch, no one was watching. Fans turned away in droves. Barely 3,000 a game showed up, not enough to keep the balance sheet from falling in the red and eventually forcing the team to move to Minnesota after just one season. But before they left, the Pipers became the Civic Arena’s first championship team. When Hawkins and the Pipers advanced to the ABA finals, fans decided to finally show up for Game 7 in Pittsburgh, to see what all the fuss was about— 11,457 to be exact, the largest crowd the team ever saw, by far. The tip-off was delayed for an hour because there weren’t enough ushers and ticket-takers to get all the fans inside. The Hawk, after pouring in 41 points on a bum knee in a must-win Game 6, led the Pipers with 20 points and 16 rebounds as they outlasted the visiting New Orleans Bucs, 122-113, to win the very first ABA title. Hawkins dribbled out the clock at the end, and fans swarmed the court in delight, and the team retreated into the locker room to pour champagne on each other, the Pipers: Pittsburgh’s forgotten champions in a city full of them. In its final days, the Civic Arena—Mellon Bank’s naming rights expired in 2010— was nothing more than a ghost. The last event there was June 26, 2010, when Carole King and James Taylor played a concert. Shortly after, the insides were stripped and everything was auctioned off, even the turnstiles. The place literally became a shell of its former self, a reminder of Pittsburgh’s past, without the grandeur or the guided tours. It had become a useless ruin of the Space Age, with maintenance costs of around $50,000 per month. The inside of Civic Arena. Useless? 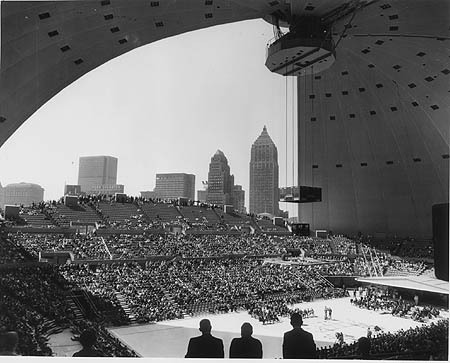 In its heyday, the Civic Arena was anything but useless. The calendar of events was jammed full every year, every season. Over time, the place built up an impressive resume few buildings could ever match. Professional tennis. The Beatles. Indoor soccer. The ABA. Monster truck rallies. The Globetrotters. Opera. Judy Garland. The Doors. The NCAA Tournament. Sinatra. Hockey. Wrestling. It was the jack-of-all trades. No event was too big or small. Crowds were packed to full capacity depending on the event; on other nights, ushers outnumbered the patrons. The Civic Arena could be anything: indoors or outdoors, chic or lowbrow, street or country. In the spring of 2010, after the Penguins lost to the Montreal Canadiens in the playoffs, we said our goodbyes. This was the end of the road, and the Igloo would be demolished the same way Three Rivers Stadium came down in 2001, when Heinz Field and PNC Park opened. 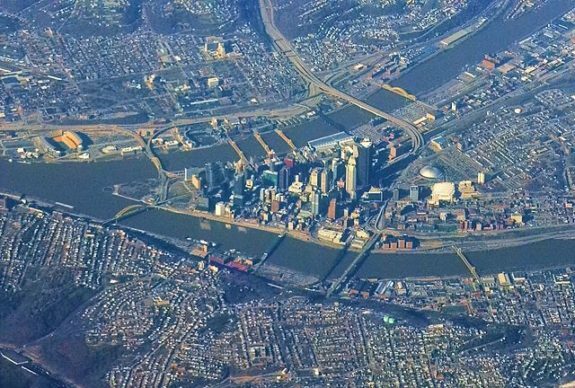 But Three Rivers was a cold piece of concrete with identical brothers in Cincinnati and Philadelphia. Of course no one wanted to save it. But the Igloo? There is— was— only one Igloo. And it wasn’t coming down without a fight. It was happening again. For the second consecutive spring, the Detroit Red Wings were schooling the Pittsburgh Penguins in the Stanley Cup Finals. Just like the year before, the Wings took the first two games in Detroit. It’s Game 4 now, and— just like last year—Detroit is about to win this game and put a stake through the Pens’ hearts. The Red Wings are up 2-1 when they get another power play in the second period. They are looking for the knockout punch. Jordan Staal, the Pens’ lanky penalty-killer extraordinaire, takes a clearing pass and suddenly finds himself on a pseudo-breakaway. He powers it past Red Wings’ goalie Chris Osgood, and the tense crowd explodes. It’s his first goal of the ’09 playoffs and the biggest goal of his life. The Penguins tack on two more goals in the period. Eight days later, they win the Cup in Detroit. The owners of the Civic Arena facility, an organization called the Sports and Exhibition Authority, gave the green light for demolition in August— of last year. A non-profit group called the Pittsburgh Preservation Authority spearheaded an effort to preserve the arena and reuse it. The argument to demolish was really pretty simple: the Civic Arena was no longer viable and should not, could not, remain standing. 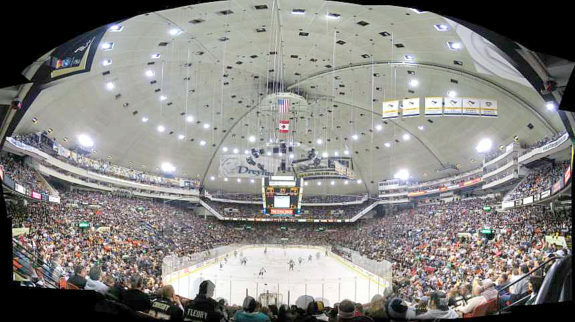 Consol Energy Center does everything the Civic Arena once did, only better. And didn’t we need more parking? 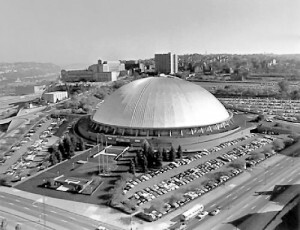 The preservationists argued that the Civic Arena is historically and architecturally significant. In some ways, they were correct, as the arena met almost every prerequisite for historical preservation. But this status was denied twice, first by the city’s historic review and planning commission, and again by the Pittsburgh City Council. One key question was never really answered: What was anyone going to do with the thing if it was kept it around? Build a mini-mall inside it? Bring back the opera? Re-open the roof? There was a rumor that the arena would undergo the greatest demolition of all-time: It would be blown up as part of a scene in Batman Returns, which filmed in Pittsburgh this past summer. The plan was never confirmed and may have been nothing more than an urban legend, but the Civic Arena was no stranger to the silver screen. It was featured heavily in the 1976 classic The Fish That Saved Pittsburgh, and it also had a bit of a starring role in the 1995 Jean Claude Van Dame action thriller Sudden Death. Ironically, in that movie, it was saved from being blown up. People in Pittsburgh love those movies, because we take pride, sometimes irrationally, in our civic institutions. PNC Park is best park in baseball, the Steelers are the greatest sports franchise in history, and Mr. Rodgers is the greatest human being ever. Does any city have a better view than the scene from atop Mount Washington? Nope. Want to see the steepest street in the Western Hemisphere? It’s right over here. Heinz Ketchup. The Warhol Museum. Westinghouse Electrics. This isn’t some commuter city with lookalike condos and five-lane highways in all directions. This is a place with character, with history, with its own accent. The Civic Arena was an outdated, primitive dump. But it is— was— ours. It’s filled with three generations worth of memories, and those are hard to let go of. Pittsburgh craves nostalgia. We like to see the silver dome poking out of the shadows when we cross the Veterans Bridge, just like we want to ride the wooden roller coasters at Kennywood and eat at the original Primanti Brothers restaurant. The real fear now that the Igloo is coming down might be what appears along Centre Avenue after it’s gone. We all know what mixed-use business and residential means: another bland shopping center/plaza, complete with the every chain store du jour. Also, why is there a need for more office and retail space? The Fifth Avenue corridor, which runs right by Consol Energy Center, has plenty of empty storefronts and vacant office space. Why not fill those up first? Nonetheless, the end of the Igloo was imminent years ago. What could be gained in prolonging its demise? Look around. In Houston, the decaying Astrodome, once dubbed the eighth wonder of the world, is in such bad shape that it’s been off-limits to the public for years. In Detroit, the Pontiac Silverdome sold at an auction in 2008 for $500,000, or about $55 million less than the cost to build it. Not far down the road used to be Tiger Stadium, which sat in a state of disrepair for six long years before it was demolished, as civic groups tried in vain to save it. Old stadiums and arenas, for the most part, are like old running backs: once they’re done, they’re done. And the Igloo has finally, mercifully reached the end of the road. His name is Ron Mitchell, but everyone calls him Fang. No one forgets a nickname like that. He is still the head coach of the Coppin State Eagles, an historically black college in Baltimore that, prior to 1997, had never won a game in the NCAA tournament. They were a 15-seed matched up against the powerful South Carolina Gamecocks, a two-seed who had been ranked in the Top 25 all season. In other words, Coppin State was the sacrificial lamb. It’s a sleepy audience on this day, because even the best basketball doesn’t get much of a rise out of the people of western Pennsylvania. But Coppin State slowly wins over the crowd, trading baskets with the Gamecocks, keeping it close throughout. With 6:12 to go, Fang’s team takes the lead. The Civic Arena is packed, and the crowd is buzzing. The corridors and concession stands empty out. The Eagles are on fire, attacking the basket, locking down on defense, and soon they’re up by five points, 10 points, 12 points. The crowd is going bananas, unleashing a “LET’S go EA-gles!” chant down the stretch and rising for a standing ovation as the clock ticks down to zero. Coppin State wins by 13, still the biggest beating a 15-seed has ever given a two-seed. The Igloo wasn’t actually built for hockey, but it was made for hockey. It was hockey that breathed life into the place night in and night out. It was hockey that made it famous. We remember the place for Penguins hockey above all else. And any hockey talk in Pittsburgh begins with Mario Lemieux. This is where Mario did so many magical and ridiculous things, some of which no player has ever done before or since. Against the New Jersey Devils in 1988, Lemieux scored five goals in five different ways: even-strength, on the power play, shorthanded, on a penalty shot, and an empty-netter. Against the Western Conference goalies in the 1990 All-Star Game in Pittsburgh, Lemieux scored four goals— in the first period. Against Buffalo’s Pat Lafontaine in the race for the 1992-93 Art Ross Trophy, Lemieux came back after missing two months— he was being treated for Hodgkin’s disease— and scored 56 points in the final 20 games of the season, leaving Lafontaine in the dust and pushing the Penguins to their best record in franchise history. One of the best Lemieux stories involved a random middle-of-the-regular-season game against the Sabres on December 23, 2002. Earlier that day, local radio host Mark Madden had been criticizing Lemieux— blasphemy!—for occasionally attempting to score a goal directly off of a faceoff. Madden had a decent point, since it’s nearly impossible to do such a thing. So he says on the radio that he will donate $6,600 to Lemieux’s foundation if Number 66 can do the impossible. Late in the game, Mario leans in for a faceoff, and, in the blink of an eye, shoves the puck into the back of the net, and immediately points up towards the press box. After the game he comes rumbling into the locker room with a giant grin on his face, yelling giddily, “Where’s my money? Where’s my money?” And Madden thought hard about ever criticizing Super Mario again. Lemieux is the dominant figure in the Penguins franchise. (The Civic Arena’s address is 66 Mario Lemieux Place.) He was, is, and forever will be known as their best player. He was the perfect blend of size, speed, and puck handling. He transformed the team from basement-dwellers into contenders. His career in Pittsburgh spanned three decades, two Stanley Cups, and enough breathtaking moments to fill up a DVR. And…oh, right: he also saved the franchise. With the Penguins on the verge of bankruptcy— again— in 1999, it was Lemieux who offered to purchase the club, even though he was still owed millions in deferred salary. With the Penguins on the verge of leaving town in 2007, when a plan for a new arena didn’t pan out— again— it was Lemieux who forced an emergency meeting in Philadelphia with NHL commissioner Gary Bettman to hammer out an agreement that would keep the Penguins in Pittsburgh for good. The agreement of course, included a new arena, which would eventually be christened Consol Energy Center. Three years off. In the prime of his career. Injuries and other ailments had always dogged Mario Lemieux like a shadow, forcing him into an early retirement in 1997 at age 32. But in the fall of 2000, rumors began swirling that he was feeling good and considering a return to the ice. In late December, hockey fans got their Christmas present: Super Mario was coming back. The game against Toronto in December, an otherwise innocuous game in the middle of the season, became a spectacle. 30 seconds into his first shift, Mario dished out an assist. Later, he scored a goal and chipped in with another assist. Inspirational comeback? Just another day at the office for Mario Lemieux. In Pittsburgh, like any blue-collar sports town, we remember the bad moments almost as much as the good ones, and we do the same with the moments at the Igloo. We can’t forget Tom Fitzgerald of the Florida Panthers scoring from just inside the Red Line in Game 7 of the ’96 Eastern Conference Finals. Or Flyers forward Keith Primeau beating goalie Ron Tugnutt in the fifth overtime in the ’00 playoffs. Or Marion Hossa coming this close to jamming home a rebound at the buzzer before the Detroit Red Wings won the deciding Game 6 of the Stanley Cup Finals in ’08. We remember David Volek. True Penguins fans will tell that the 1992-93 team was on another level, the best team in franchise history. This was Kevin Stevens and Rick Tocchet and Ron Francis spearheading the league’s most dangerous offense. This was 20-year-old Jagr beginning his ascent to superstardom. This team was the back-to-back defending champs, on the cusp of a dynasty. This was Lemieux scoring 69 goals and 91 assists in only 60 games, numbers that, when stretched across a full 82-game season, leave the best seasons of Wayne Gretzky in the rearview mirror. This team captured the President’s Trophy running away with a franchise-record 119 points. This team ripped off 17 straight outright wins in March and April to set an NHL record that still stands. This was the team. But the Penguins ran into the scrappy New York Islanders in the playoffs, and they have inexplicably forced a Game 7, and, unbelievably, they’re winning 3-1 late in the game. The Pens score twice in the last four minutes to tie it up. Nice effort, Islanders, but you aren’t the team of destiny. But early in overtime, the puck takes a couple of wild bounces and suddenly, before anyone realizes it, the Islanders have an odd-man rush, two versus one, Volek rushing forward with the puck. Pittsburgh defenseman Kjell Samuelsson has to make a split second decision: play the man, or play the pass. He plays the man. David Volek, who would play only 32 more games in the NHL and retire the following season, buries it in the back of the net. The Civic Arena has never been so quiet. The Canadiens, with their iconic blue and red sweaters and their legendary history, were Sidney Crosby’s favorite team as a kid. They were now threatening to derail his team’s third consecutive run to the Finals, having pushed the Penguins to Game 7 in Pittsburgh. Before anyone can blink, Montreal goes up 4-0. The Penguins are sloppy and unfocused. Didn’t they have too much pride for this? In the middle of the second period, they finally wake up, scoring twice. Coach Dan Bylsma would say after the game that he felt confident the team could come all the way back. They’re flying around, asserting themselves, pouring pucks at the net. The crowd is going ballistic. One more goal will break the Canadiens. One last magic moment. A biblical comeback. The Penguins of Sidney Crosby and Evgeni Malkin will forever be ascending. Pittsburgh starts the 3rd period with a 4-on-3. Power play quarterback Sergei Gonchar walks the puck into the zone, as he’s done about six thousand times in his career. He starts moving slowly to his left, as Malkin circles behind him. It’s a set play, perfectly executed—Gonchar is X, Malkin is O—and the crowd can sense it. Malkin steps into a perfect pass and fires a blistering slapshot. Save. The rebound bounces right to Crosby. Save. The Penguins don’t get close again, and, 43 years after winning the first NHL game at the Igloo, the Canadiens win the last one. You walk into the Consol Energy Center and it’s fabulous. Wide, brightly-lit concourses in all directions. New car smell everywhere. Comfortable seats. Plenty of bathrooms. Flat-screen TVs. Concession stands near every exit. Hardly a bad seat in the house. Things couldn’t be better. Except it’s just not the same. And that’s why you can’t shake the feeling: you will miss the Civic Arena.